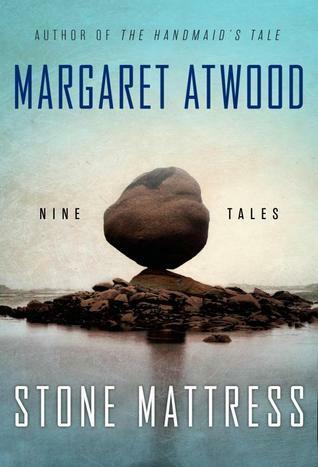 The cover image on Atwood’s new collection of a boulder precipitously balanced on a mound of rocks is a strikingly fitting image to describe the nine tales found within. The characters in these stories are mostly at that stage of life where Atwood finds herself, elderly and looking toward the increasingly limited future, considering legacy in recollection of the life they have led. Balanced between future and past, life and death, creative productivity and a corpus of work left behind, unresolved conflicts and distant traumas, hope and reflection, there is no morbid preoccupation among Atwood’s protagonists, but rather a careful stock on what existence has given and still has the power to supply. Elements of these balanced themes can be seen in Atwood’s recent decision to take part in writing something for the future, a work that she can create while still drawing breath, but which will only be available for a future generation to experience fresh. And there is a certain similar nobility, generosity, and joy in how Atwood approaches aging, legacy, and the emotions of memory in these tales. As she has pointed out, tales is the proper word to describe the nuanced dreamlike reflection of these stories. Like the reality of memory these tales have a touch of the fantastic and wonderful. Atwood’s power and prowess at the short story really shines forth in these nine tales, most forcefully in the opening three, linked, stories and the penultimate one that gives the collection its name. These four tales most prominently feature the Janus-faced nature of the collection, but in contrasting styles – contemplative in the triptych and with vengeful – perhaps righteous – violence in Stone Mattress. Creating a collection of even this relatively short size with consistently captivating style and rich characterization is not an easy task, but Atwood manages to deliver without a stumble. If you haven’t read anything by Atwood or have only tried her novel length work, you should pick this up to discover what you have missed. Those that already enjoy her short fiction will read this new book with fond memories and appreciation of its graceful regard for that to come. Disclaimer: I received a free electronic reading copy of this from the publisher via NetGalley in exchange for an honest review.